An essential in any teachers repertoire, our 36g Glue Stick is an economic and handy resource to have on hand. 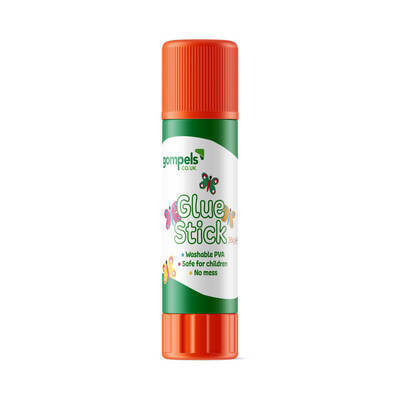 Suitable for all ages, this non-toxic stick can be used to stick down papers, cardboard and other crafting materials while the push on lid keeps it sticky for longer. A standard addition to any crafting session, a retractable design allows you to monitor the amount of glue used in any given time and keep the remaining secure for future use. For larger classes or schools looking to keep their resources topped up, we also sell our Glue Sticks in a 12 pack. Alongside these, take a browse through our Arts and Crafts collection for everything fromCrepe Paper through to Tissue Paper Circles and Assorted Feathers.